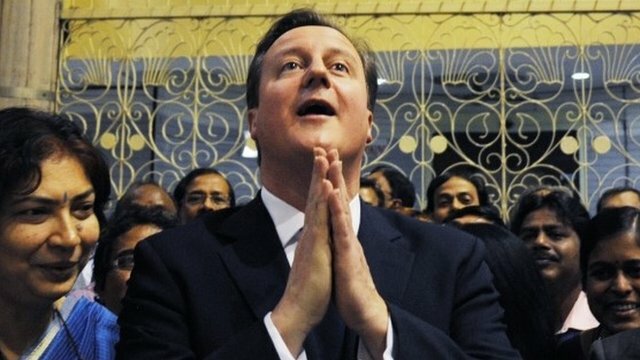 Cameron calls for war crimes inquiry Jump to media player David Cameron has called on the government of Sri Lanka to set up an independent inquiry on alleged war crimes during the final stages of the country's civil war against the Tamil Tiger rebels. 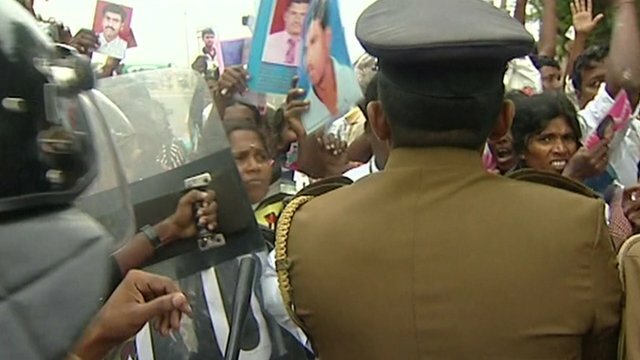 Cameron's car mobbed in Sri Lanka Jump to media player David Cameron has travelled to the Tamil-dominated north of Sri Lanka - the first international leader to do so since Sri Lankan independence in 1948 - before holding face-to-face talks with the country's president. 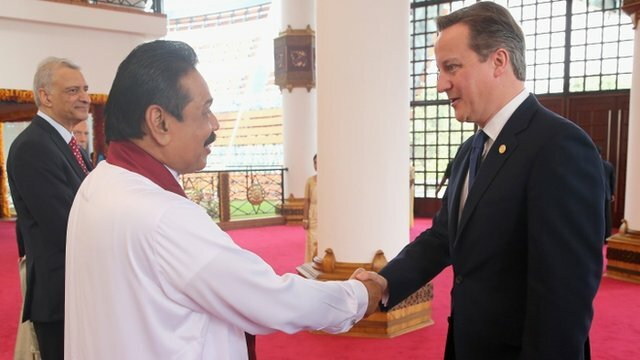 Cameron and Rajapaksa shake hands Jump to media player The Commonwealth summit in Sri Lanka is getting under way amid divisions and boycotts over the country's fitness to host the event. 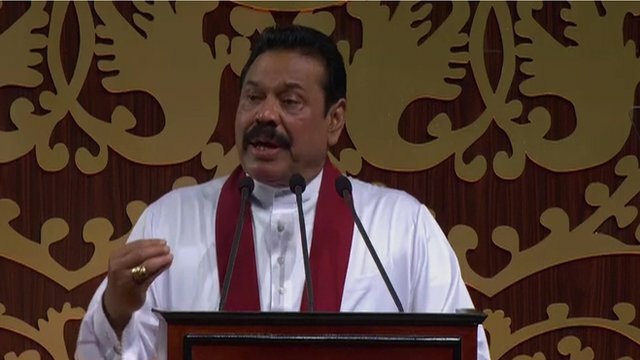 Sri Lanka president defends rights record Jump to media player The Sri Lankan President Mahinda Rajapaksa has opened the Commonwealth leaders' summit in Colombo, with a speech defending the country's record on human rights. 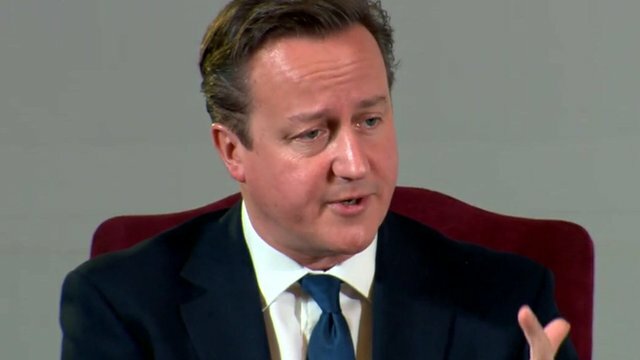 Cameron's tough questions for Sri Lanka Jump to media player David Cameron has been warned by the Sri Lankan government not to quiz them over alleged war crimes in 2009. 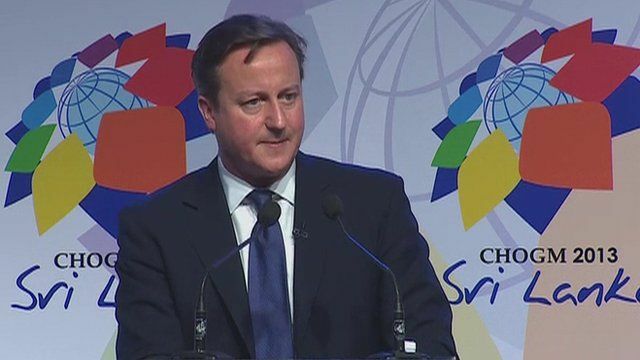 Cameron's 'tough message' for Sri Lanka Jump to media player David Cameron is resisting calls to boycott a Commonwealth summit in Sri Lanka, because of the country's human rights record. 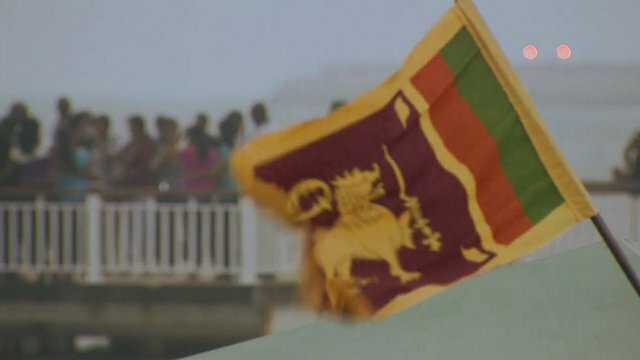 Sri Lanka human rights in spotlight Jump to media player Sri Lanka has warned British Prime Minister David Cameron that he has no right to raise the issue of human rights during his visit for the Commonwealth Summit. UK Prime Minister David Cameron has called on the government of Sri Lanka to set up an independent inquiry on alleged war crimes during the final stages of the country's civil war against the Tamil Tiger rebels. Mr Cameron, who is attending a summit of Commonwealth leaders in Sri Lanka, said that if his hosts had not completed a credible, independent investigation into the allegations by March, he would press for an international investigation.